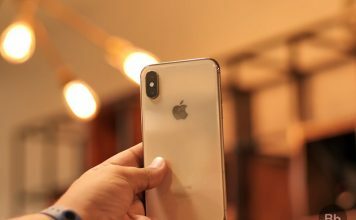 Today iPhones are Numero uno in the smartphone market and used by people across the globe for its elegant and sleek design, the form factor, snappy camera and of course the reliable and consistent iOS operating system making them a complete package to become everyone’s eye candy. In 2014, Apple launched iPhone 6 and iPhone 6 Plus. 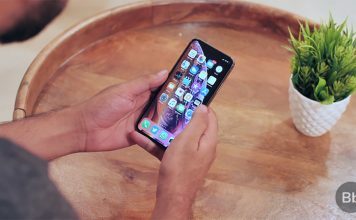 With these new devices, Apple made a departure from its previous generation iPhones with a fresh new unibody framework and screen embedded to the aluminum chassis. It is by far the classiest looking iPhone ever, resulting to stronger than expected sales helping Apple beat Wall Street’s projections in its March 2015 quarter. These larger-screen smartphones are showing tremendous staying power, at a time when rival devices are vying for market share. But with a sleek design comes sacrifice in certain aspects and for iPhone 6 this sacrifice was made in power management segment. The iPhone 6 Plus is having a large battery of 2,915 mAH with enough juice that can last for a day for an average user. However the younger sibling is packed with just 1,810 mAH non-removable battery which is a little larger than the one on the iPhone 5S. Due to small battery in iPhone 6 most of us are in search for a power point even before approaching the dusk. Moreover with the introduction of Apple Watch and other iOS compatible smart watches and smart bands requiring pairing with the iPhone have rendered its battery even scrawnier. However with certain tricks and tips you can preserve the juice in your iPhone6 that can last you for the majority of your day. 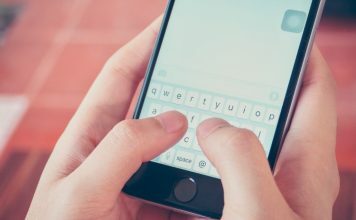 When using your iPhone in Wi Fi connection, it is recommended that you activate the “ask to join networks” options so that your phone doesn’t have to search for available networks if you are using same Wi Fi network regularly. If not in use, it is recommended that you keep the Bluetooth off which avoids your iPhone to search for nearby Bluetooth devices. Since most of us desire faster Internet connectivity on our iPhone through LTE when away from Wi-Fi network. 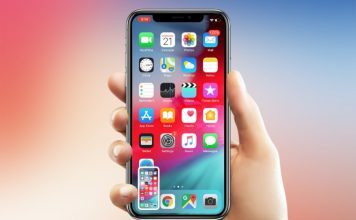 However you must know that using your iPhone in LTE reduces the battery life significantly since your iPhone radios are firing constantly to search for LTE network. Therefore it is highly recommended to use 3G cellular data option on your phone whenever you are mobile in order to improve the battery life. Go to Settings > Voice & Data > Select 3G. If you are using apple maps or boarding an Uber, turning on the location services is a pre-requisite. Of course this option decreases the juice in your iPhone. Therefore when you are not using location services then you may like to turn it off to give a boost to your battery life. Alternatively, you may choose the apps to which you would like to grant access to your location. Downloaded applications keep running in the background when you shift from one app to another. But you must know that all the apps opened by you keeps refreshing in the background even when they are not used such as Facebook, Twitter, LinkedIn etc. 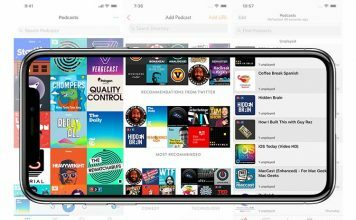 Luckily, iOS has a functionality of quitting the apps that you don’t want to run on the background thus saving much needed battery on your iPhone. Also by deactivating the background app refresh option, you can do a lot much other activities on your iPhone by reducing battery drain. Go to Settings > General > Background App Refresh > Off. 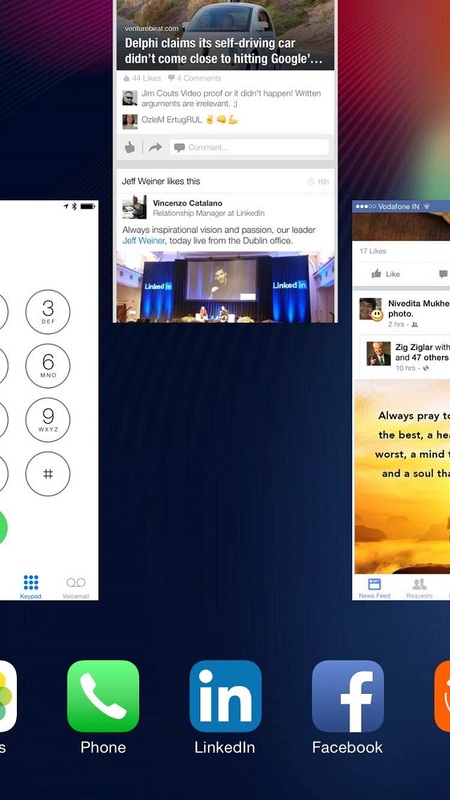 The screenshots below shows how you can kill the apps by sliding them above with your fingers. iOS 8 has a functionality to give parallax effect to your iPhone whenever you exit the app by pressing the home button. However, this beautiful effect often consumes some life out of your iPhone’s battery. If you are not a big fan of the parallax animations and effects on your iPhone 6, you may turn it off instantly. Your iPhone 6 gets invaded with wanted and unwanted notifications from apps installed in it almost every minute. These notifications do consume sometimes-significant battery if not removed timely. I personally have disabled all the notifications from my iPhone 6 except for Messages, Whatsapp and Phone. By doing this I achieve daily at least 6-7 hours of screen on time as a result of which I now have to plug my iPhone for charging just once in a day. Go to Settings > Notifications> Include and Do not Include Notifications. 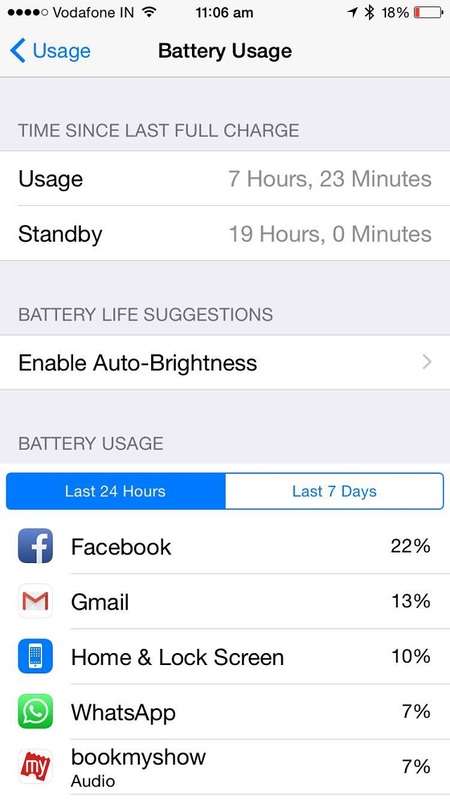 The new feature that ios 8 brings is that you can now see the battery usage of your iPhone. Go to Settings > General > Battery Usage. If you are an average to heavy user like me, by monitoring the battery usage, you can actually find out those apps that are consuming the maximum battery in the last 24 hours and 7 days of your iPhone6 usage. The screenshot is given below for reference. Disabling auto brightness and keeping the brightness less than 50%. Fetching the e-mails manually rather than Push mails. Removing the widgets that you don’t need from the “today” notification pane. Removing the areas from spotlight where you do not want your iPhone to search. Disabling option to Raise to Speak in Siri. Hard reset your iPhone 6 by holding the volume and power button together until the iPhone shuts down and restarts. Note: While using iOS 9’s developer version, we found a new power profile in battery settings, Low Power Mode. This mode will help you save battery with just one tap. Whatever you used to do to save battery on your iPhone, Low Power Mode will do it for you. So, it’s something we are looking forward to. I hope that you can effectively manage usage and boost your iPhone 6’s battery by following these tips shared with you above. If you have any suggestions to improve this article, do comment below.